Our dynamic Music Ministries are another way we LOVE GOD, SERVE OTHERS AND BUILD SACRED COMMUNITY. Kingswood has five choirs, a praise band, and plenty of opportunities for instrumental and vocal solos, as well as other expressions of worship arts. Participation by members of the congregation is welcomed and encouraged. Contact Randy Lawrence, Director of Music Ministries for more information. The Chancel Choir sings a wide range of sacred and worship music selections every Sunday at the 10:30am service from September to June. Each Advent, the Chancel Choir presents a service of sacred music; the choir also sings for all special services during the year. Rehearsals are Wednesday nights, from 7:30 to 8:30 p.m. The Allelus women’s ensemble choir performs contemporary and sacred music selections. The group sings every second Sunday at both services, from September to May. Rehearsals are Thursday mornings from 9:00 to 10:00 a.m. Women of all ages are welcomed to join us! The Cherub Children's Choir, is for ages 4 through 10. 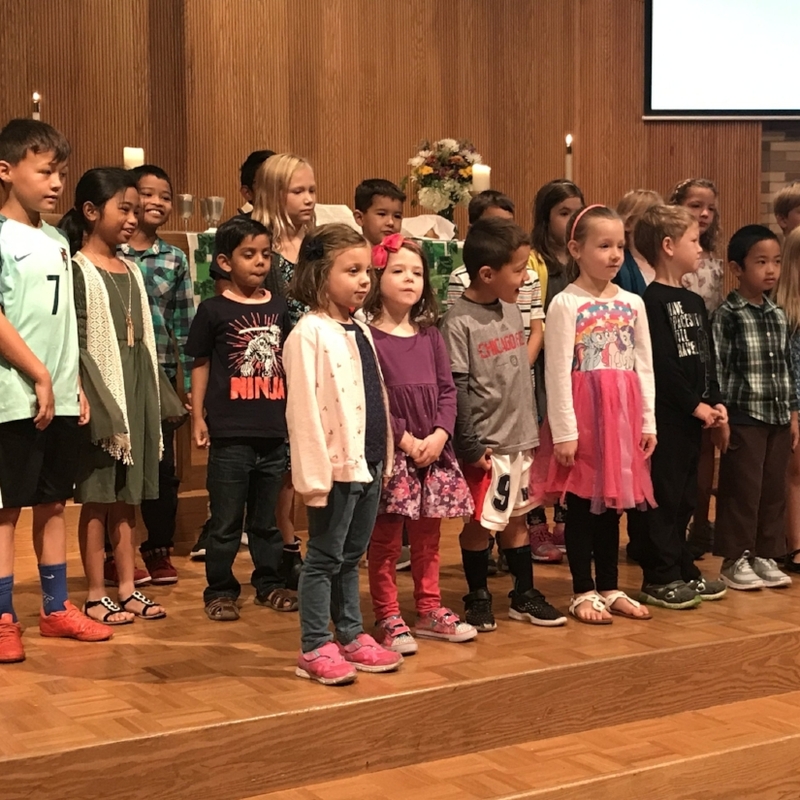 The children sing at both services regularly during the school year. Choir is a regular part of the Sunday School program during the 9:00am service, to allow all children to participate. The Handbell Choir utilizes both brass handbells and tone chimes to perform a variety of sacred and contemporary music arranged for handbells. The group performs the third Sunday each month at both services, from September to May, as well as Christmas Eve and Easter. Rehearsals are Wednesday nights from 6:20 to 7:20 p.m. No ringing experience needed; all music readers are invited! The Kings Men ensemble sings a wide range of music, from classic sacred to barbershop; acapella and accompanied. They perform once a month at both services, from September to May. Rehearsals are on Wednesday evening, following the Chancel Choir rehearsal. Men of all ages are encouraged to sing with us! There are many opportunities for instrumental worship throughout the year. All levels of proficiency are welcome. Vocal or instrumental performances are welcome, and can be one-time or on-going. Contact Randy Lawrence for more information. Our Praise Band provides worship song leadership at the 9am service on the fourth Sunday of the month September-May. The group welcomes vocalists and instrumentalists who enjoy performing contemporary worship services. Rehearsals are twice a month on Sunday afternoons. We value variety in artistic forms and expressions of worship. Some of these include interpretative dance, sign language, painting, banners, and altar presentations. Contact Randy Lawrence for more info. If you have an interest and aptitude technology, the Kingswood Technical Arts ministry might be just the place for you. 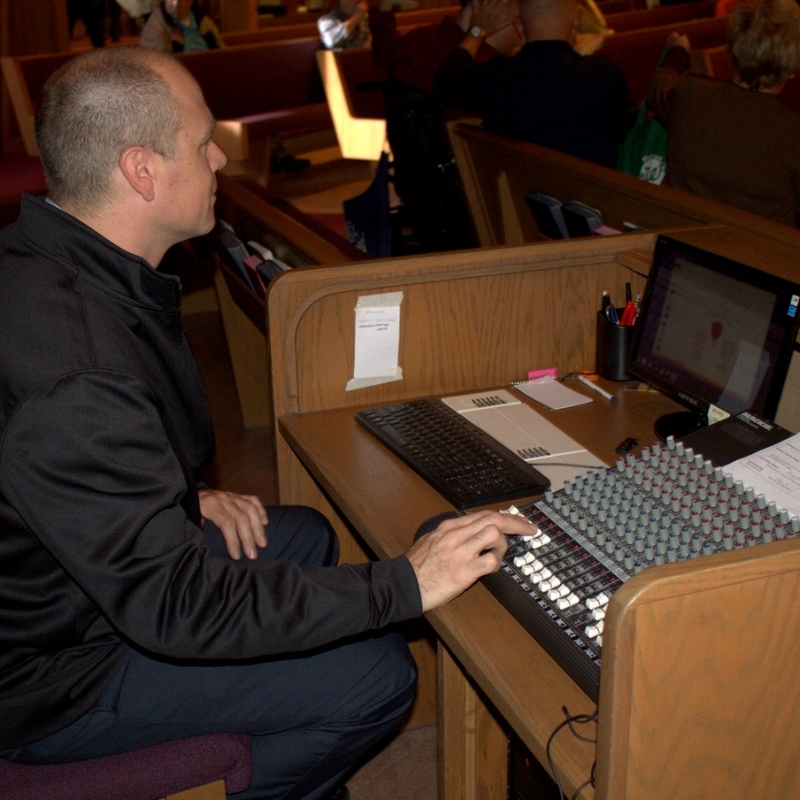 This volunteer group ensures that the sound, lights, video and onscreen presentations aid in our worship experience.